The Dorrance Poncho Marble Chunky is knit on the bias in garter stitch. Sleeves are picked up and worked down for a cozy poncho to wear with everything. 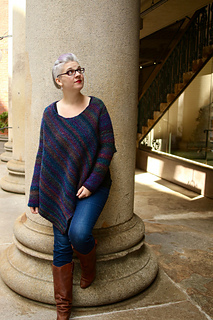 The pattern file also includes the Dorrance Poncho Northern Lights, for the DK weight yarn James C. Brett Northern Lights. 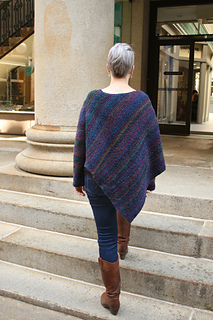 Note: Due to the nature of Garter Stitch, this poncho may tend to stretch as worn. To save time and ensure accurate measurements, take time to check gauge. Find James C. Brett Marble Chunky in the US at berroco.com.